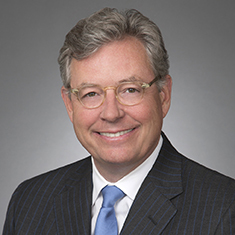 Timothy J. Lynes is the head of the firm's Aviation practice and managing partner of Katten's Washington, DC office. He has been representing manufacturers, lessors, airlines and their insurers in the sale, leasing and financing of aircraft for more than 25 years. Much of Tim's practice involves structuring aircraft sale agreements, cross-border and tax leases, loans, chattel mortgages, residual value and credit support agreements and aviation insurance policies. He also regularly advises clients on Department of Transportation and Federal Aviation Administration regulatory issues. According to Chambers USA, clients say Tim is "smart, well-versed, pragmatic and looks at the big picture." One client enthuses: "He will fight for his client to absolutely obtain the best result." Whether guiding creditors through a major airline bankruptcy involving the restructuring of the financing for hundreds of planes, or assisting an individual client in addressing the regulatory, financing and insurance issues involved in the purchase of business aircraft, Tim handles all types of aviation transactions with a singular focus on finding creative solutions that deliver positive results. He has also represented clients in multidistrict litigation arising from aviation accidents and has served as lead trial counsel in numerous commercial disputes and damages trials. Tim frequently writes and speaks on topics of interest to the aviation industry, including aircraft registration, federal preemption, aircraft and spare parts leasing, aviation insurance and aircraft credit support. He has made numerous appearances on CNN's Burden of Proof and other shows to discuss aviation issues from the perspective of manufacturers and airlines.